As many of you know, my Mum recently suffered a bad accident at work. The last few weeks have been a rocky road, and while Mum is no longer in a critical condition, there are still many challenges to face, starting with an imminent move to a rehabilitation centre. When I was approached about the possibility of publishing a guest post from Motor Accident Legal Service not long after her accident I thought long and hard about it. However after reading the post, How to Bounce Back from Unexpected Life Challenges, I knew I knew I had to publish it. I really identified with the post. I know how important it can be to do little things such as simply focusing on the good parts of any situation. While these things that happen can be overwhelming, it's so important to make sure that we not only look after our family but ourselves as well. Life is full of unpredictable challenges; everything can be going great one minute and the next minute you could crash the family car, be diagnosed with a chronic illness, or go through a relationship break up. What defines us as people is the way we deal with these setbacks. No matter what life throws at you, by developing your ability to be resilient in the face of adversity, you will be able to bounce back stronger and more focused. But don’t try to go it alone. Some of life’s challenges are much easier to overcome with some help from an expert. Take a look at this website to see how Motor Accident Legal Service can help you if you are involved in an untimely car crash. some of the challenges your life might throw at you. 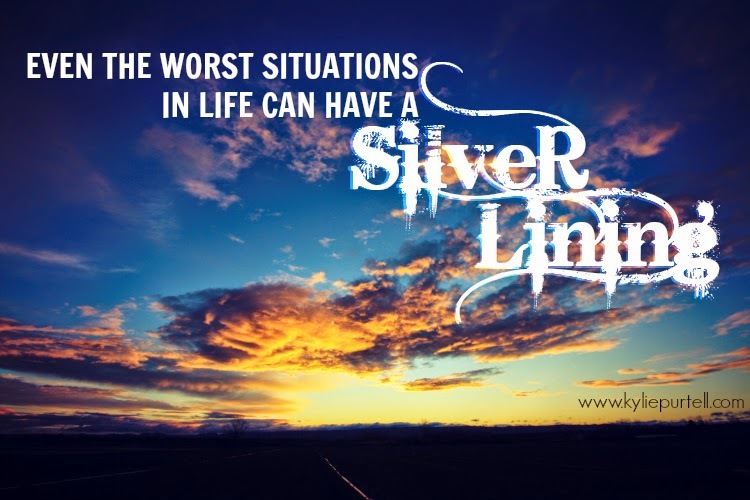 Even the worst situations in life can have a silver lining. Try to find it, and remember that even though it seems bad, something good still came out of it. It could be that it helped draw your family together in the face of adversity, or helped you to develop your resilience and tackle future problems better. Don’t dwell on the negatives; there are always plenty of them, so find the positives and focus on them instead. Sometimes your emotions can get the better of you in a difficult situation. When this happens, it is important to take a step back and look at the situation objectively and logically. Strong emotions can cloud your view and make it hard to see the solution to your problem. Sit back and look at the bare facts of the situation; you may find the solution is easier than you thought if your remove the emotional component and simply get on with fixing the problem. As the saying goes a problem shared is a problem halved so it is important to seek help when dealing with life’s challenges. Family and friends should be the first port of call when you have a problem and their support can be critical to helping you overcome it. But sometimes you will also need expert help or advice to successfully negotiate a difficult moment in your life, so don’t hesitate to seek the advice of a counsellor if things get too overwhelming. When things go wrong it’s easy to get caught up in the moment and feel like they will never get better. Looking forward to the future will help you realise that you will eventually get through the situation and most likely be stronger and more resilient for it. Think of the other challenges you’ve faced throughout your life; you got through them, and you will get through this too. Everyone faces challenges in life. The key is to overcome them and gain strength and resilience in the process. By following these simple hints, you will be better prepared for your next challenge, whatever it might be. What's your best tip or coping strategy for dealing with the crazy, unexpected things life can throw at us? This guest post was produced in collaboration with Motor Accident Legal Service. I was compensated for allowing the post to be published on my site. As per my disclosure policy, I would only ever publish content that I believe in and feel has benefit for my readers. I think keeping emotions at bay is useful in the short term but it's not a long term solution. I think it's really important to feel whatever you're going to feel and work through it rather than trying to suppress it. It's okay to not cope. Hope your mum recovers fully in time to come. Big hugs. This is great - and it is one of the hardest things to do. Your mum is still in my thoughts lovely. Yep, I think it's nice to know there are avenues that can be pursued, while still hoping to high heaven that we never have to use them!